Either you need this in your life, or someone you know does. I am sure of it. I have long been a fan of Antiquaria's designs, and when I noticed they offered this stationery box subscription, it went to the top of my personal xmas list. 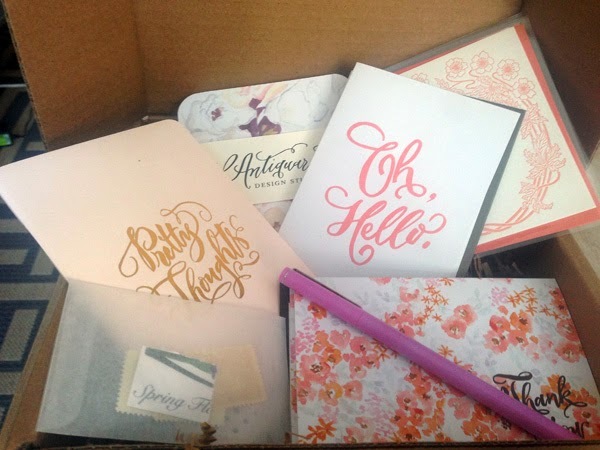 I recently received my first box (they are shipped quarterly), and I am in love. This is such a great gift - it is so much fun to receive a selection of items that have been so thoughtfully chosen, and the surprise element definitely adds to the excitement. It's like being a kid again - at least, a kid with excellent taste in stationery. Plus who wouldn't love a gift that arrives several times throughout the year? As you can see, this box was seasonally appropriate with pastels, florals, and even a lilac colored Le Pen (my favorite). The contents: 2 x Oh, Hello folded notecards. 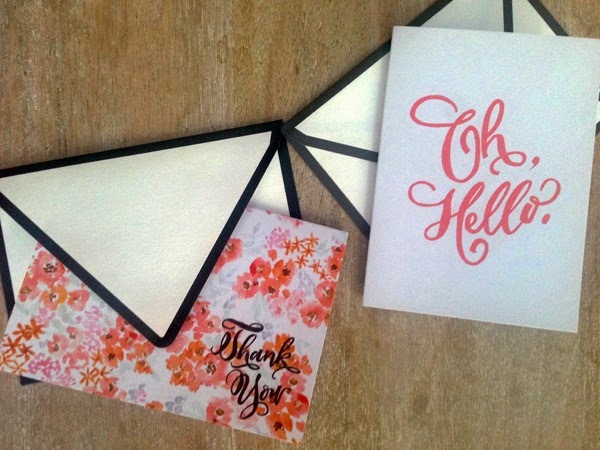 2 x Thank You folded notecards. 1 Pretty Thoughts journal. 6 x floral coasters. 2 x blank inside letterpressed folded notecards. 1 Le Pen in Lilac. 1 set of vintage stamps. *A Bar Cart in Brooklyn is in no way affiliated with Antiquaria nor do I receive commission on any sales linked through this post. I'm just a huge fan of theirs and I love sharing my favorite products and gift ideas with you.